A suit is a most elegant attire in which a man looks at his best. It is a matter of pride and personality for a majority of men. A suit makes a man look classy not fancy. They say that real men wear suits. But a suit is incomplete with a pair of cufflinks and a tie. 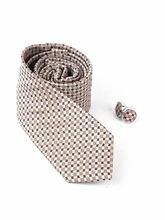 A tie such that it complements both the looks of the man and the subtleness of the suit. 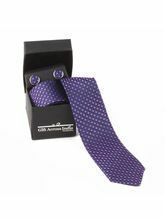 Ties play a very crucial role in portraying the complete look of a gentleman. A suit looks unfinished without a tie. A tie for a man would play a role analogous to a necklace for a woman. 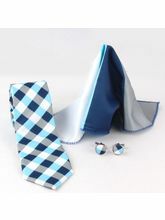 Hence, choosing the right tie with the right pattern and colour is extremely important for a man. Also, cufflinks for men are like underestimated pieces of men’s accessories. You never spend much time on them, but without them, your whole look would just not be put together. Although cufflinks cannot be worn everyday, but it is surely a necessity. 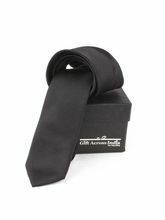 On the other hand, a tie can be fancy yet subtle and elegant too for daily wear. You ought to have ties if you really want to mark a statement in the world of male elegance. 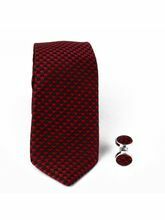 Finding the right tie and cufflinks can be a gruesome task. 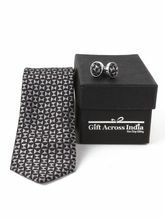 Infibeam brings you an amazing range of ties and cufflinks for you to choose from. You can choose among various brands. 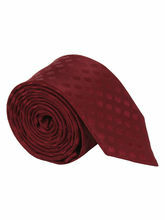 We also have a wide collection of ties with different patterns, colours, textures and materials. You would be thrilled to check out our cufflinks section too. You would definitely be spoilt with choices. Shopping online has been a boon, especially for men. Usually browsing through a store is not a man’s cup of tea. Men like their shopping to be easy and hassle free. So Infibeam comes to your rescue. We have the simplest of checkout and payment options. 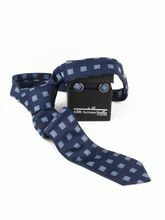 Also, while you are checking out the amazing ties and cufflinks, you can make a visit to the other men’s accessories online corner at Infibeam. You can take a peek at the wallets & belts, handkerchief, caps and much more at Infibeam at great deals and discounts.